Wing Tuck Engineering Pte Ltd (”Wing Tuck”) is currently one of the leading oil and gas integrator and a civil and structural engineering firm in Singapore. Wing Tuck has grown from 3 employees with an annual turnover of $10K to a Company with a strong management team, total workforce of 150 employees and a turnover of S$20millions in Year 2015. This is due largely to good support from oil majors and established local companies. This continuous growth has propelled our company to reach greater heights and instilled our commitment to provide high standards of workmanship and excellent services to our clients. Wing Tuck established in 1971 as a steel sub-contractor for oil companies’ main contractors. Our main operation was steel work related to steel piping and steel storage tanks. In order to expand the steel work businesses, the company also venture into fabrication and installation of structural steel canopy for petrol stations. 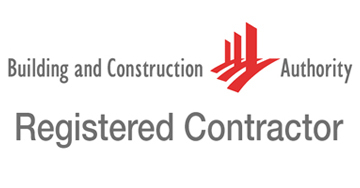 We are registered contractor with Building and Construction Authority (“BCA”) since 1990. In 2009, Wing Tuck is proudly to be certified by BCA as General Builder class one and Specialist Builder (Structural Steel). We are presently registered with BCA as a General Builder under workhead CW01 for Grade B1 and Civil Engineering under workhead CW02 for Grade C1 contractor. As a registered contractor with BCA, Wing Tuck diversified into the construction industry carryout government projects for Ministry of Defence, Port of Singapore Authority, Public Utilities Board, People’s Association, Changi General Hospital, etc. Private projects are industrial buildings, commercial buildings, houses (semi-detached & detached), etc. 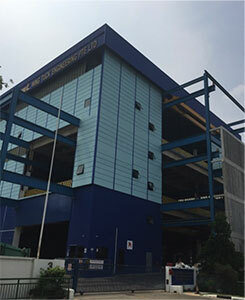 Wing Tuck obtained its first petrol station project as a main contractor in 1992, after much pitching and perseverance. Thereafter, we became a civil work and structural steel work contractor in the oil and gas industry serving oil companies such as Shell Eastern Petroleum, ExxonMobil (previously Esso and Mobil), Chevron (previously Caltex), British Petroleum (BP) and Singapore Petroleum Company. Following the booming of oil and gas industry and construction industry in the 1990s, Wing Tuck expanded rapidly and eventually set up a company in Malaysia to provide consultative works and project management for Mobil in 1993. Subsequently, Wing Tuck continued to expand its oil and gas business in both Singapore and Malaysia. In 1997, Wing Tuck ventured into another business to supply and install Liquefied Petroleum Gas (“LPG”) storage tanks and piping system for BP, Shell and SPC Wearnes in Singapore. In keeping up with growth and expansion, the company obtained ISO 9000 Quality certification from Productivity and Standards Board (PSB) in 1999. 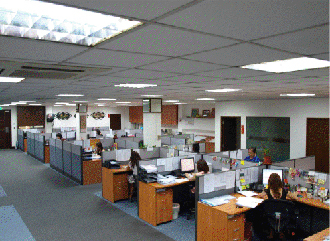 The company has since then, continue to keep abreast with the industry’s requirement and obtained ISO 9000, ISO 14000 and OHSAS 18001 with BCA. In 1999, Wing Tuck obtained Fuel System Equipment Dealerships for fuel dispensers, fuel storage tanks, fuel piping, submersible pumps, miscellaneous accessories and fittings. Hence the company branched out to carry out maintenance works on fuel equipment for BP, Mobil and SPC. Striving to gain a better achievement in the structural steel industry, Wing Tuck works towards its recognition as an accredited structural steel fabricator and installer. In 2004, Wing Tuck acquired the accreditation as a S3 structural steel fabricator and installer from Singapore Structural Steel Society. Since then, Wing Tuck secures more and larger steel fabrication and installation contracts namely from Keppel Fels, etc. In 2005, Wing Tuck carried out a Research and Development of a Forecourt Control and Point of Sale Management System to manage fuel and convenient Store sales. In 2006, Wing Tuck successfully developed this software working with third party hardware to monitor and manage fuel and convenient store sales. This software can also alert user when there is low or too high in fuel, leakages in fuel system, generates daily sales reports, etc. In Year 2007, Wing Tuck merged the LPG and servicing arms to form the current Fuel System Department to focus on the supply, fabrication and installation of all Fuel System, Fuel Equipment and piping system. This Department has also secured project from the Compact Natural Gas (CNG) industry in 2008. With the increasing need to achieve high safety standards and protecting our environment, Wing Tuck strive to meet all the safety standards by obtaining Safety Management Certification in 2006 and later obtained OHSAS 18000 for Occupational Health and Safety certification, ISO 14000 for Environmental Management System and BizSafe Star Certificate for The Workplace Safety and Health Council. In 2011, we became BCA Accredited Training Centre for Coretrade and Continual Educational Training in Structural Steel & Pipe Fitting. We have also kick-start the “WSH Advocate Programme” in Year 2014 to promote cultural safe working environment for our staff. Equip with dealerships, technical knowledge and Fuel & Point of Sale Management System in Fuel System, Fuel Equipment, Fuel Piping System, Civil Works and Structural Works, Wing Tuck is confident to construct and configure brand new petrol station. Wing Tuck is also capable and has the abilities to manage and maintenance any petrol station. As part of its commitment to its employees’ welfare, Wing Tuck has organised and celebrated events that contributed to the bonding of its staff. Click here to see some of the photos taken. 1971 Formation of Company in Singapore as a steelwork sub-contractor. 1990 Obtained BCA General Building Contractor Certificate for CW01, G5 grade. 1992 Obtained first petrol station project as a main contractor. 1993 Formation of Company in Malaysia to build petrol stations in Malaysia. 1997 Formation of LPG arm to serve BP, Shell and SPC Wearnes. 1999 Obtained ISO 9000: Quality Certification.Formation of Servicing Department to carry out maintenance works for BP, Mobil and SPC. 2004 Obtained Singapore Structural Steel Society Certification as S3 steel fabricator and installer. 2008 Expansion in CNG industry. 2009 Obtained ISO 14000 : Environmental Management System. Obtained Bizsafe Star Cert : The Workplace Safety and Health Council.